While I’m always going on and on about this one class I took at New School, there’s another one I took before that — From Pitch to Publish, taught by Cris Beam — at which I learned a very important lesson: You must keep the momentum going. So as I started receiving my very first rejection letters, I didn’t sulk. Instead, I became a master at not taking it personally, and quickly flipped the pitch. In an industry where multiple submissions are frowned upon, and lead times can stretch to six months or more, it’s necessary to have a system that keeps things moving smoothly and quickly. 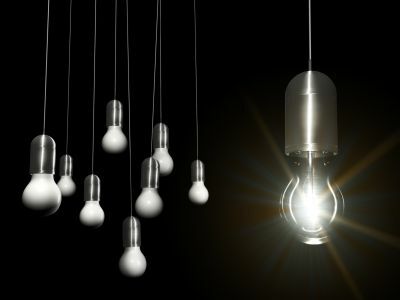 How can you ensure that your bright ideas are getting the most possible mileage? As soon as I get a story idea, I immediately come up with a snappy title (it helps to ensure that I’ve thought of something story-worthy), and then brainstorm as many possible outlets for publication as I can. Some use the Writer’s Market — either online or in book form. Others, such as the incredibly wise Susan Johnston of The Urban Muse, subscribe t0 freelance newsletters like Freelance Daily and Freelance Success, which let writers know about paying markets. I used to use Wooden Horse Publishing, which is searchable by subject matter, location, etc. Nowadays, I just head out to my local Barnes & Noble and flip through the magazines there. That way, if you receive a rejection, you have multiple re-pitch options to turn to. For inspiration, I like to search the editorial calendars of my favorite publications, to see what special issues they have coming down the pike. To start, mediabistro has an (obviously incomplete) editorial calendar guide. Some publications (and for this, I could just kiss them) actual post their editorial calendars on their websites. They’re often hidden within the media kit, such as this one for Time Out NY. If you can’t track down a calendar, try e-mailing an editor and requesting one. I also keep back issues of my favorite mags, and flip through them to get a feel for the formats, styles, and story ideas they’re more likely to go gaga for. You can also re-work pieces after they’ve been published somewhere. Obvs. After a piece has run, it is conceivable that someone else might want it. Depending upon the terms of your writer’s contract, you may be able to resell. Check out sites like Keep Your Copyrights and StarvingArtistsLaw to learn more about contract clauses: what they mean and how much wiggle room they give you when it comes to retaining the rights to your work. Both Writer’s Market and The Writer list markets that accept reprints. You can also go through a syndication service, such as Featurewell, which sells your work for you (though they do keep a percentage of the profits). Don’t let a pitch go stillborn. Give it a second chance, or even a second life!